Kate Middleton and Prince William married in 2011, after a decade-long courtship and Kate’s slow and careful entry into the Royal Family. 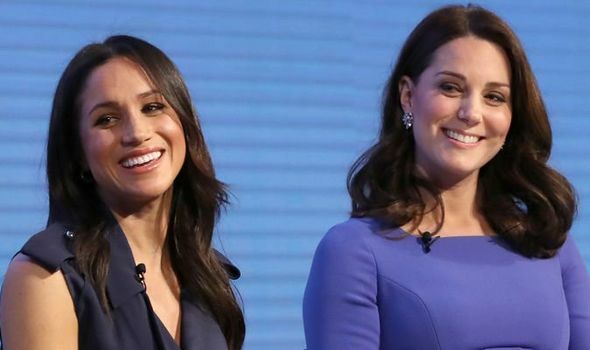 Meghan Markle, like Kate, came from a non-aristocratic background to marry into the Royal Family in 2018 when she wed Prince Harry. 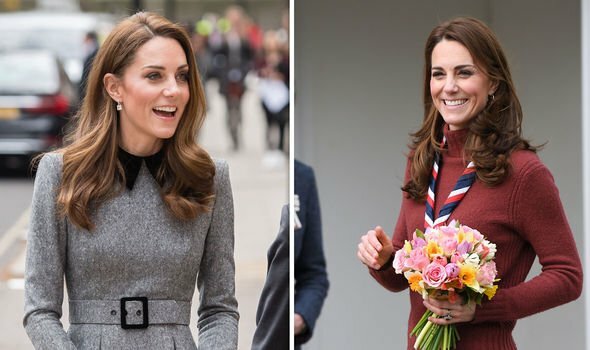 The entry of a new sister-in-law into the family could be the reason why the Duchess of Cambridge’s confidence in public seems to have soared recently, as she takes on her royal engagements with gusto and plenty of smiles. She continued: “I noticed recently her confidence levels do seem to be increasing. 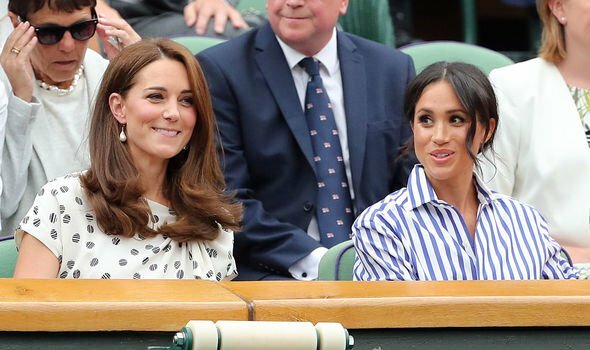 “I think she’s taking a different role in the Royal Family generally. 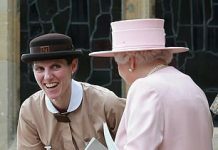 She explained: “The Queen clearly isn’t getting any younger and is stepping back a little bit. “I don’t see Camilla ever wanting to take up the reins of being that matriarchal figure in the Royal Family. “I think she would probably do anything to avoid that, so it has fallen to Kate to a certain extent. 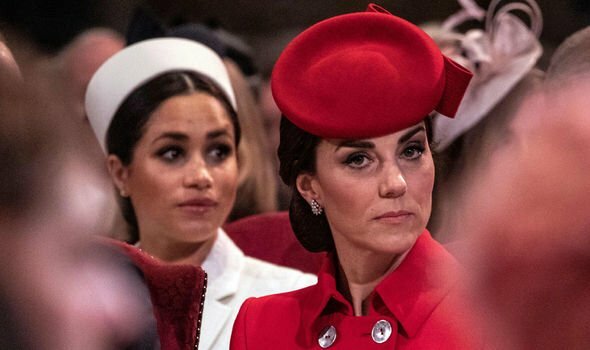 Addressing rumours that the Duchesses of Cambridge and Sussex do not get along, Ms James said that, as sisters-in-law, the pair should not be expected to be best friends. 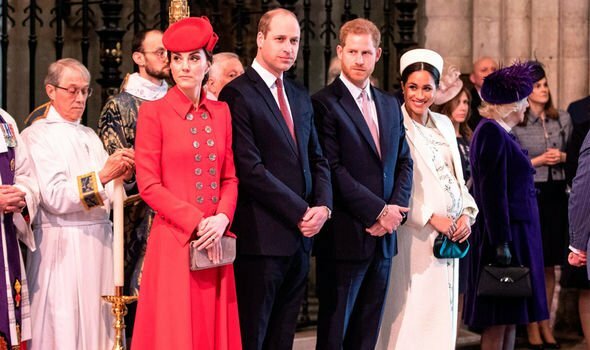 Meghan Markle joined the Royal Family in 2018, after meeting Prince Harry on a blind date in 2016. 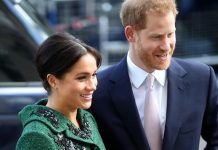 The news leaked four months later, when a source at the time told the Sunday Express that Prince Harry was happier than he had been “for many years” and was “besotted” with Meghan. 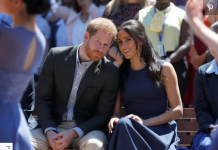 However, when Harry learned that the news had gone public, his words to Meghan indicated that she would never get her privacy back again.